Ovington built, fitted-out by Boon with thwart/traveler. 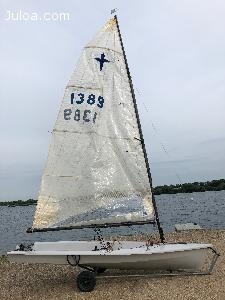 North sail, very little used. 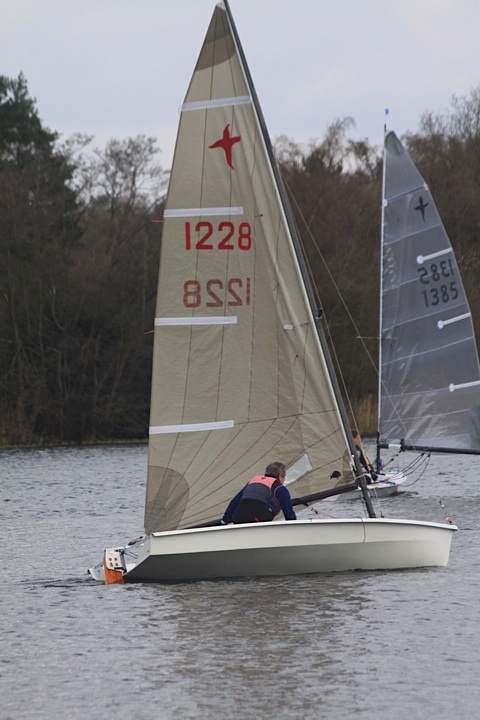 P&B sail, used two seasons. 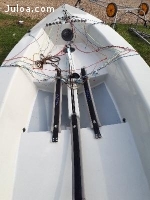 Speed sail, little used but some damage. Old, but 100% functional boom-up top cover. 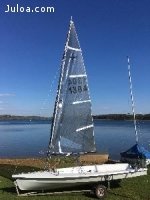 Only sailed inland and good condition.